On Saturday, the No. 4 ranked North Central Cardinals welcome the No. 12 ranked Wheaton Thunder in Round 2 of the NCAA Division-III football playoffs. The Cardinals were winners of the Collegiate Conference of Illinois and Wisconsin (CCIW), going 10-0 in the regular season, and moved on after defeating Rose-Hulman last Saturday. Wheaton finished second in the CCIW, going 9-1, and defeated Huntingdon last Saturday to advance. 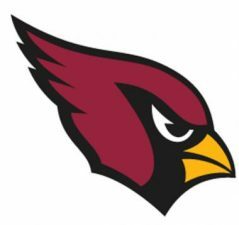 The North Central Cardinals scored at least 34 points in every game they played this season, and their closest margin of victory was their 35-25 victory over the Thunder on October 15. They won their first two games of the season, both non-conference affairs, 35-21 and then 38-21. Their defense then held opponents to seven-points in back-to-back weeks while the offense continued to role. Three times this season the Cardinals gave up just a touchdown to opponents. In Round 1, the Cardinals took on Rose-Hulman. North Central jumped out to a 17-0 first quarter lead behind two touchdown passes by Broc Rutter. The Fighting Engineers would have the only points of the second quarter, and the game would head to half with North Central up 17-7. In the third quarter the Cardinals would take control of the game, scoring 17 more points. Rutter threw for two more touchdowns and the game would end with North Central winning 41-7. Rutter finished 21-33 for 299-yards and 4-TDs. Austin Breunig rushed for 82-yards and a score, and Ryan Kuhl and Alex Ulmer each had 7-catches, 2-TD receptions, and over 100-yards receiving. Justin Suursma led the team with 10-tackles. The Wheaton Thunder started out the season 6-0, dominating four of their opponents, including a 60-6 thrashing of Kalamazoo, but also winning some tight affairs, including a 19-14 victory over Carthage and a 10-6 win over Elmhurst a week later. The only loss that the Thunder faced was against these North Central Cardinals. They then rolled in the final three games, winning each contest by better than 23-points. In the first round of the playoffs Wheaton got a one-yard touchdown run from Sola Olateju to grab an early lead and, following a field goal by Huntingdon, they put up 28 unanswered points heading into the half. That included a 54-yard interception return for a touchdown by Eric Stevenson and a punt block by Logan Miller that he recovered in the end zone for a score. The Thunder would win 45-10. Stone Watson led the team with 111-yards rushing and a TD on just 9-carries, and Trey Hanley had 103-yards receiving and a TD on just 3-catches. Luke Sahly led Wheaton with 10-tackles and a forced fumble, and Kyle Fox added 9-tackles. They have proven that they can beat Wheaton before, and with the game on their home field there is no reason to believe that this team will not win again. Broc Rutter is an outstanding playmaker, who is very accurate and has proven that he is a true winner. This defense gets incredible pressure on the quarterback, forcing them to make mistakes. No reason to believe that they will not do that here. The Thunder are one of the most complete teams in the country in terms of defense, offense and special teams. They can hurt an opponent in many different ways and match up against North Central maybe better than any team other than St. Thomas. Andrew Bowers is an outstanding quarterback as well, who does not make mistakes. He handles the pressure well and will make some big plays for Wheaton. Eric Stevenson may be the best player on the field in this game physically, but it is his leadership and instincts that will be the biggest difference in the contest. In the first meeting between these two teams, North Central dominated the first half, taking a 24-3 lead heading into half. They, then, had to hold on as the Thunder pulled within six, but 11 fourth quarter points gave them the victory. It looks like Wheaton figured some things out as the contest went along. We expected them to lose in the first round, but will not make that mistake again. Take the Wheaton Thunder in a slight upset, 28-27.